Born from the old world Italian culture. And Created with comfort in mind. 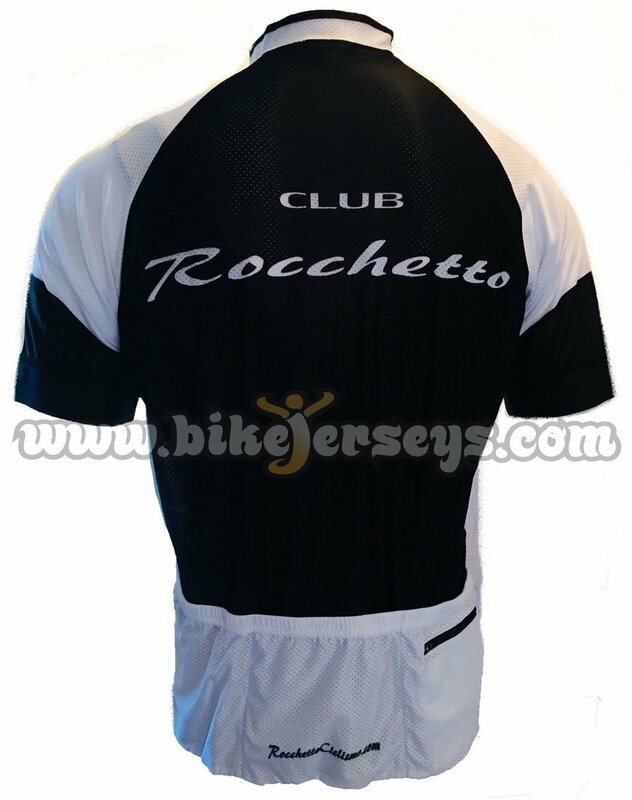 The CLUB Rocchetto jersey collection is constructed from a (Club Cut) mold for a relaxed fit with special features and fabrics. Using our Super Wicking 110gm Polyester Fabric for easy heat and moisture transfer. This jersey uses our special Italian inks for lasting color. Features include Full invisible zipper (for easy exit when wet), water resistant 4th. Zippered pocket (with MP3 Player wire options) for security of personal items while on the bike (and listening to tunes on the trainer). Silicone waist gripper, Special MITI fabric elastic band on end of sleeve. 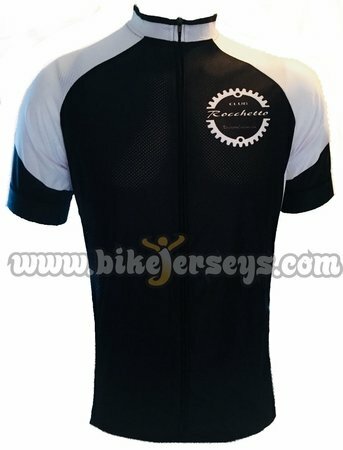 This is the ultimate jersey refined from 50 years of cycling. And 20 years of clothing design. Men's Cut.